A year in the making, we can finally reveal one of the most exciting pieces of nursery furniture to hit the Australian market – an all-in-one cot, toddler bed and desk, that doesn’t need a conversion kit. From the brilliant mind of Australian mum Elise Heslop, comes the latest offering from Babyology favourite, Plyroom. 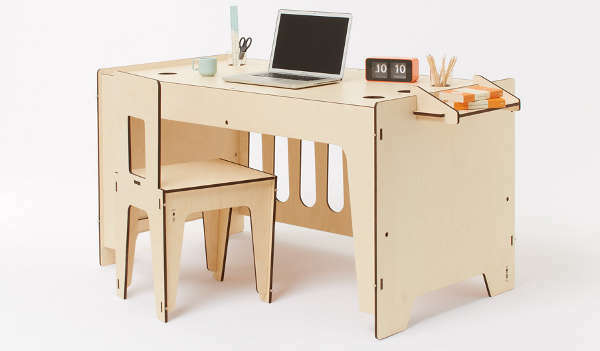 The Ava is a cot, a toddler bed and desk – in subtle disguise. When your baby is ready to move on to the next stage of bed configuration, or no longer needs a smaller bed and wants a desk, the transition is super easy. There’s no conversion kit, or additional components. Plyroom has been working with its designer at Totem Italia for the past twelve months to create this amazing piece of furniture. It’s perfect for the growing family, and the fact that it’s a sublime-looking piece is a bonus. Like all of Plyroom’s products, the Ava is designed and made in Italy and finished by hand. The cot comes flat-packed, and is super easy to assemble. Made of FSC certified European birch, the cot has a beautiful look with the lovely curves of the peep-holes and natural finish. It’s priced at $1725 and is available directly from Plyroom.